An Enterprise Resource Planning (ERP) system is a business process management software that collaborates every communication department from financials to human resource, supply chain to manufacturing, operations to reporting, and customer relations to marketing under one roof. In the early scenario, the company popularized and focused only on two departments- the finance and operational (administration) sector. And they implemented applications for managing only these two business areas. Though many parallel activities like recruitment, customer relations, inventory, sales etc. were happening within, they got sidelined for many reasons. The early businesses remained illiterate on the importance of equalizing their focus on every communication department by implementing ERPs for generating better profits. One has to understand that, for a successful business run every department should be equally focused and made sure of its efficiency by allocating the right resource at the right time. And in case, if a company is expanding its business, with company expansion, the respective ERP application should also be made capable of meeting the new changes. It is mandatory to make sure that their applications get upgraded upon the new needs, for an efficient and productive business run. What makes the modern ERP system? New era, urges smart work. Earlier, every business applications whether for accounting, finance, sales or HR processes, they often worked in separate circles. There was no intermediary communication between the two departments. No departments talked or worked with the other and this often resulted in chaos and misleads resulting loss in terms of resources. With modern ERP, the information was passed on time as the new application, brought all the departmental processes under one roof. The modern ERP allowed access to witness what each department is doing. This brought high-level transparency in internal communication and thereby resulting efficiency in the business workflow. 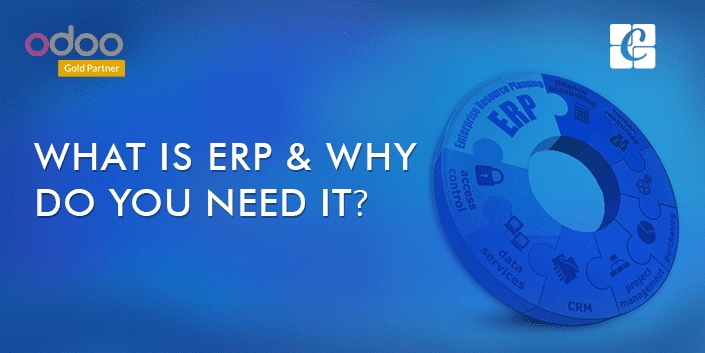 Why ERP system for your businesses? An ERP system for business can get you with numerous benefits. The ERP technology is getting better day by day, bringing every business processes together for better productivity. It helps your company make data-driven decisions and advance business solutions. An ERP can cover and efficiently manage numerous company functions. Let us take one by one. An ERP managing finance can get you with the real-time information. The ERP dashboard gives an overview of the financial transactions, helping the users to cut down the manual entering of information and tracking. In human resource, ERP has much more potentials as they streamline every human relations management tasks like hiring, payroll, leave requests, loan management and much to list. An ERP efficiently manages resources, automates daily resources, cost management and fulfills customary needs in the manufacturing sector. If your company is still entering information by hand and trying to track down inventory in your warehouse, you can easily save time and money by automating these processes with ERP. An ERP system implementation for business improves the efficiency of the organization. It streamlines the entire communication process that no information is ruled out or missed, making it easier for the companies to fetch data across several departments. An ERP system provides users, especially the managers with tools for carrying accurate forecasts. For example: In food manufacturing, the demand for certain products changes with seasons, and a manufacturer needs to take care of this demand fluctuation for allocating the necessary resources on time. In ERP system, as the data is centralized it brings a collaborative workstation improving the efficiency and transparency within business departments. ERP system allows the addition of new users and functions. It can be easily customized according to customer desires. An ERP is embedded with provisions for setting additional needs, thereby facilitating business growth. With ERP system, all information can be brought to a single location. One can integrate platforms like CRM software, Accounting Software, Warehouse management or Human Relations to an ERP system for keeping the data consistent, accurate, and unique. An ERP system reduces administrative and operations costs. It allows manufacturers to manage work at a quick order saving the production cost. As manufacturers/ business expand simultaneously, an ERP can be easily automated to meet the new business operations providing pertinent, accurate, real-time information to the organization. An ERP system makes reporting easier and more customizable. It enables the company to quickly respond to the complex data requests more easily. Users can also run their own reports without relying on help from IT, saving much time. The Modern ERP systems are robust, flexible, and configurable. They fit into all propositions and can be easily tailored according to the unique needs of a business and other customary desires. ERP system can easily adapt to the ever-changing needs of a growing business, ensuring all time needs of the businesses. Convinced? If yes! Contact the best ERP solution experts for getting your questions answered. Any kind of assistance kindly drops your email at info@cybrosys.com.